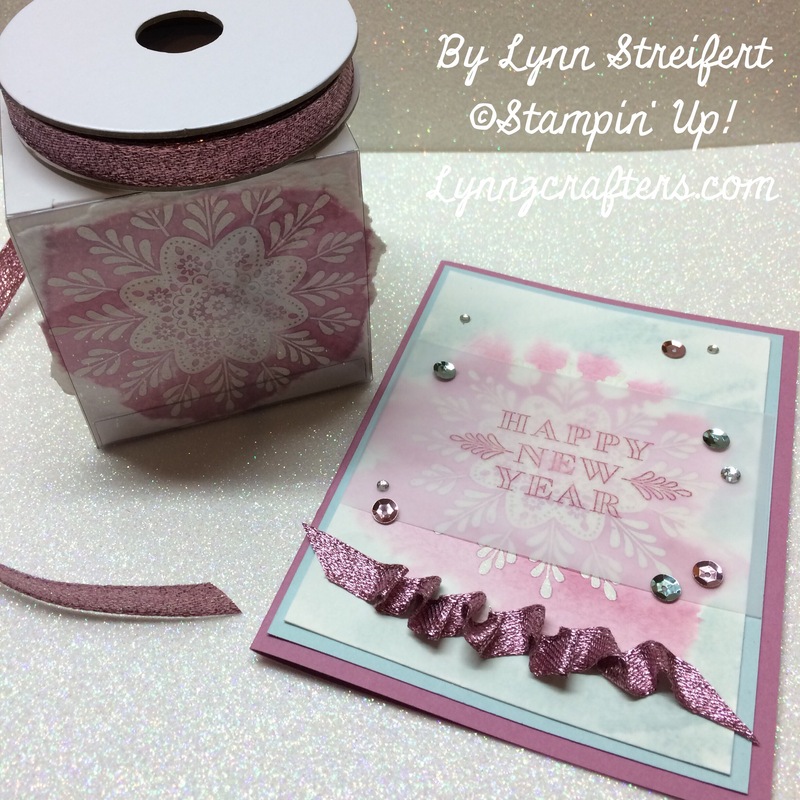 Stampin Friends New Year Celebrations! 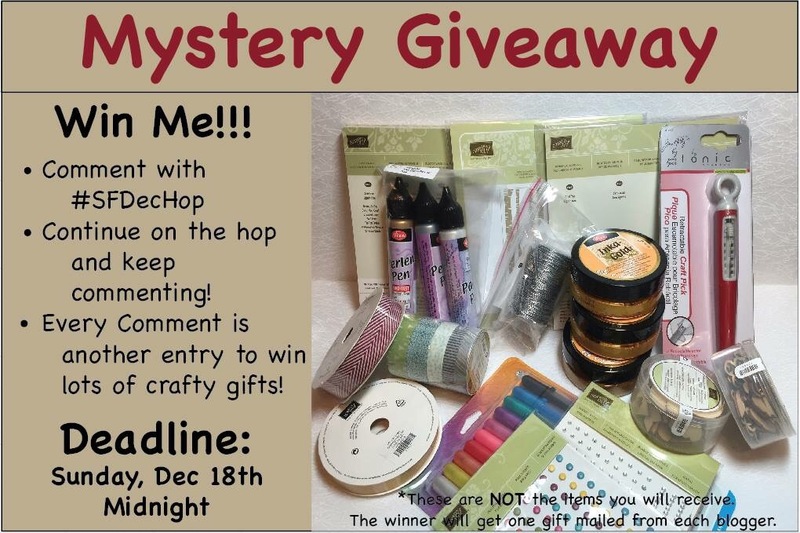 Welcome to our final blog hop of 2016 with the Stampin Friends Blog Hop designers! Our theme this month is New Year’s Celebrations! I’m sure some of the other Stampin’ Up! demonstrator’s will be using this set too, but I decided to use the frosted medallions stamp set from the 2016 holiday catalog (page 37). This suite of products called “Fancy Frost”, are all retiring. Today’s the last day to order for guaranteed arrival by December 25, the glitter ribbon pack and designer series paper are on sale. 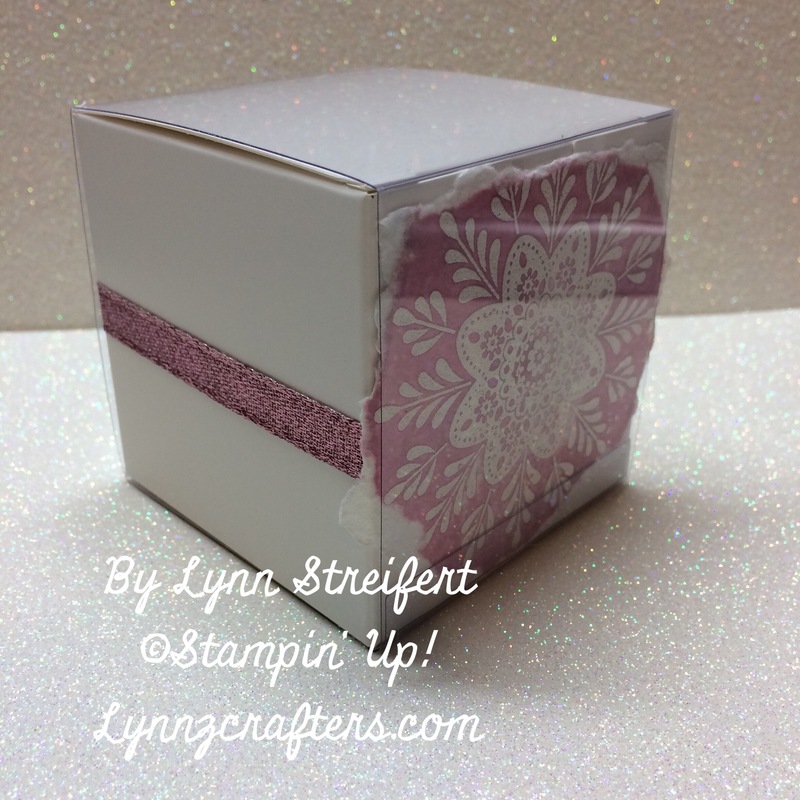 I made a card and a matching gift box perfect for some homemade fudge or candy, this box is 3″ x 3″ and is food safe. 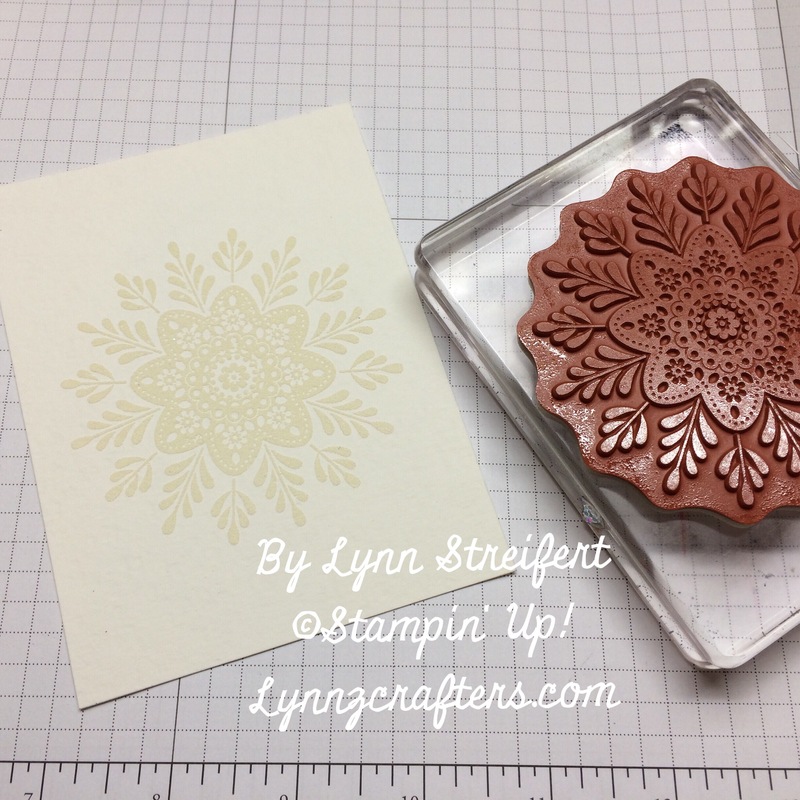 I started by embossing the largest snowflake medallion with our whisper white embossing powder and the heat tool. I embossed directly on our watercolor paper so that it was sturdy enough to withstand lots of water coloring, I used sweet sugarplum and soft sky re-inkers. It definitely helps to dry the watercolor paper before you try to glue it down to your card base or add any embellishments, ask me how I know (wink). 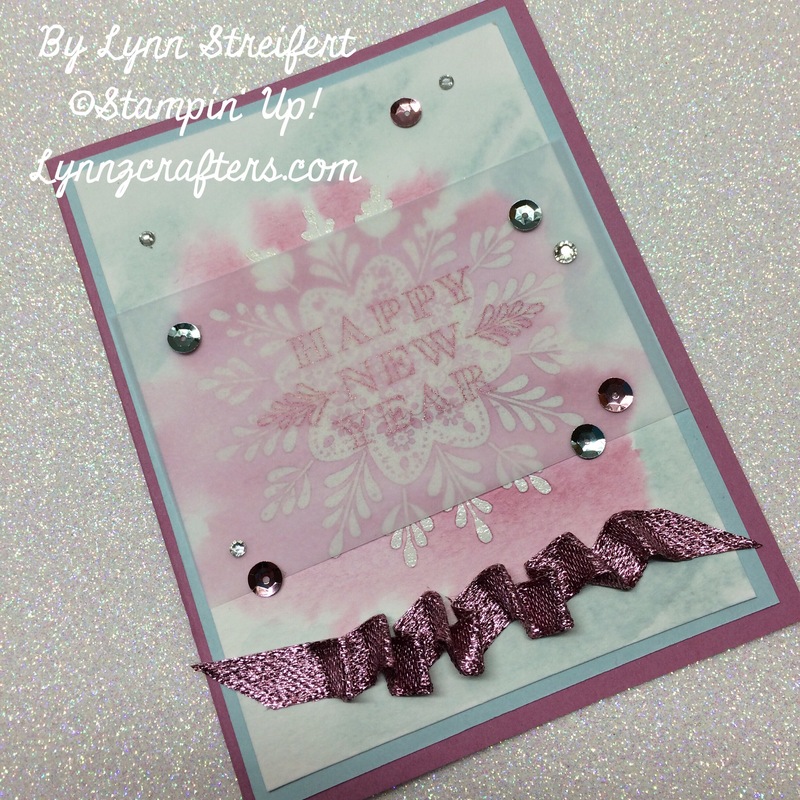 This could be the end if I wanted a plain and simple card, but I wanted to showcase the matching glitter ribbon and fancy frost sequins so it needed a little more bling. Once I got to this point I realized I had not saved enough room for the happy new year greeting, so time to move around a few sequins and rhinestones. What do you think? Do you send cards out to welcome in the new year? I have a little secret to tell you, I have not had a minute to make my own Christmas cards this year so I’m actually thinking of sending out cards in the new year. This might very well be my own card this year, time will tell. I’m sure you would love to receive all these wonderful prizes, just leave a comment here on my blog and on all the others. Remember to use the #SFDecHop in your comment to be counted. I hope you enjoyed my projects today thank you for visiting my blog! That’s all for me today, would love to hear what you think! 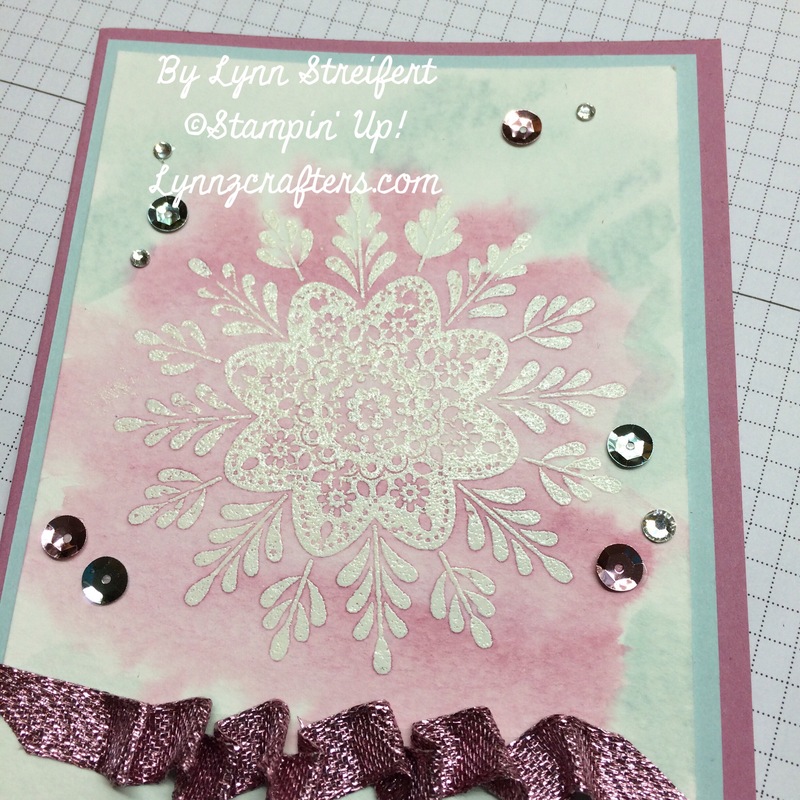 Now, ready to go check out Maureen’s stamping creations? Or do you need to hop back to check out what Steph made? 5. Lynn Streifert- << YOU ARE HERE! 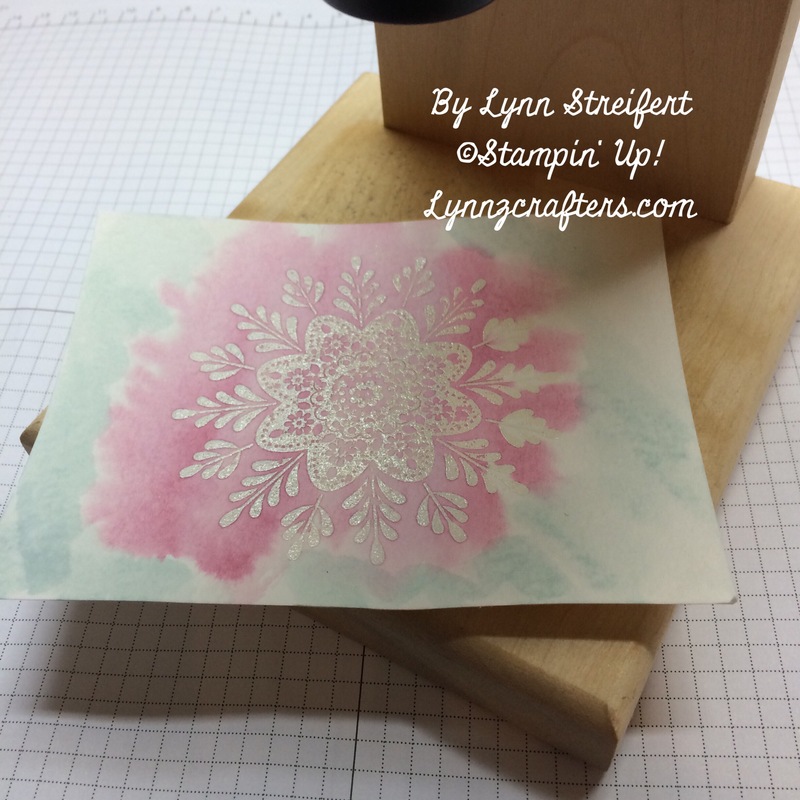 I love the emboss resist technique – and the colours are so soft but stunning at the same time! Thanks for sharing! Holy smokes– these are gorgeous!!! Love your stuff!! Thanks for hopping with us! Great ideas and super cute. Pretty card! Love the gift box too. Love, love, love the ideas given in these blogs. You are very welcome Susie! hmmmm, great idea! Need to try this some day! #SFDecHop, I love the colors you used. I’m really not a big fan of that stamp, but, I do love what you did with-it. 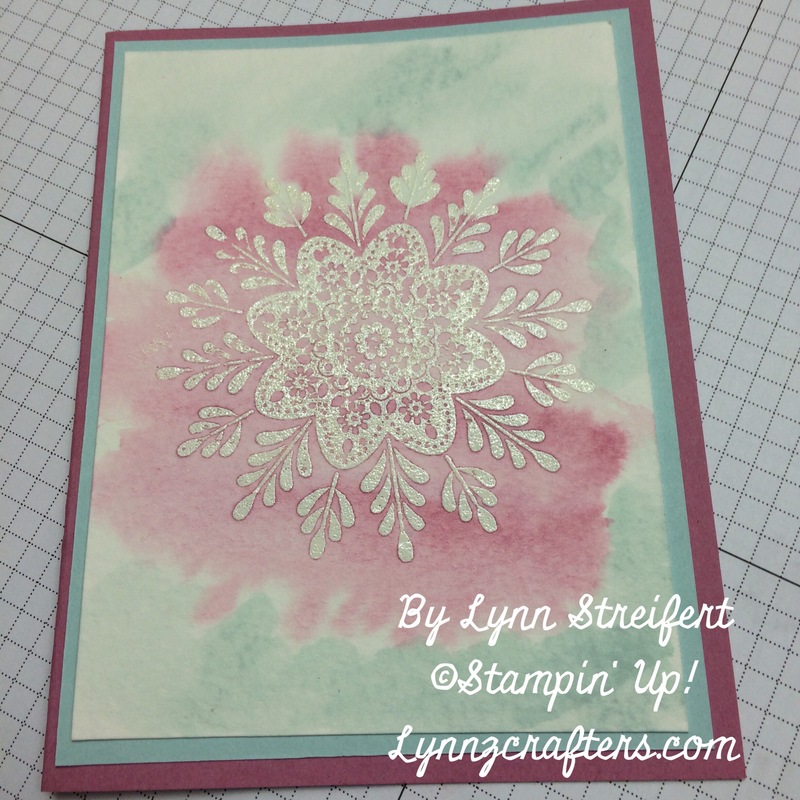 #SFDecHop Beautiful card and technique! Beautifully done, Lynn. I love the soft colors. I love the colors you used. Beautiful projects.